Mr Darko Ćulum, was born on 11 January 1969 in Ljubačevo, the municipality of Banja Luka. He finished Police High School in 1988 in Sarajevo, graduated from college at the Faculty of Philosophy in 1998 in Banja Luka, and in 2009, he finished Faculty of Security Studies in Banja Luka. He has been performing police duties since 1988. 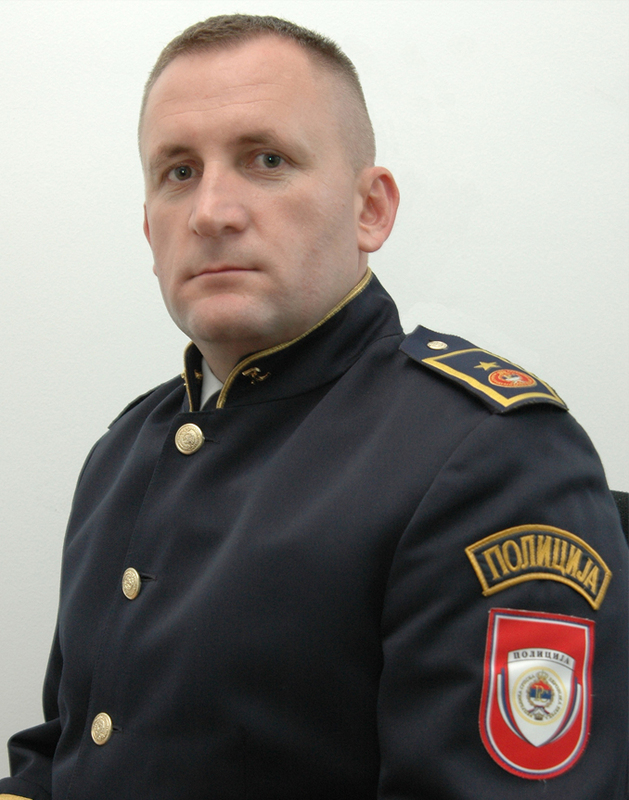 Through his career, he had performed the following jobs and tasks: police officer and inspector in all lines of work: from April 1999 – head of the Group for suppressing aggravated thefts; from October 2003 – head of Department for countering organised crime; from March 2006 – head of the Crime Police Sector Banja Luka Public Security Center; from January 2010 – head of Banja Luka Public Security Center; from February 2012 – head of Uniformed Police Administration, and from February 2015, he has performed the tasks of Deputy Police Director. He was appointed Police Director on 1 September 2016. Police Director is the basic organizational unit at the headquarters of the Ministry of the Interior, managed by the Director. 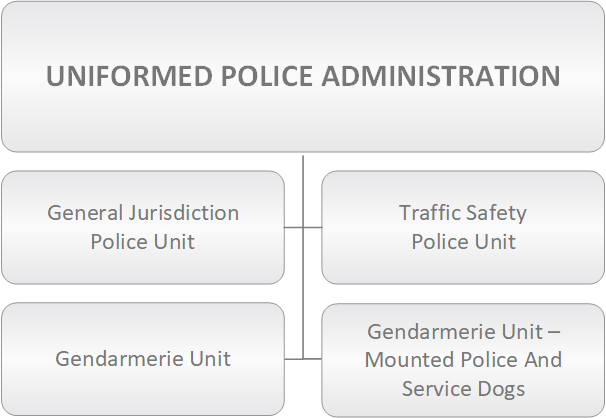 The Director has the mandate to plan, manage and supervise all the activities of the police, especially activities in the mandate of the basic organizational unit, directly manages police activities and, related to that, he organizes, consolidates and directs the work of the police, as well as the activities of non-operational lines of work for the purpose of operational needs. He makes decisions on employing or termination of employment of police officers of line administrations as well as on the arrangement of administrators of basic and internal organizational units in accordance with the line of work. Police director participates in proposing the budget for the needs of the police. 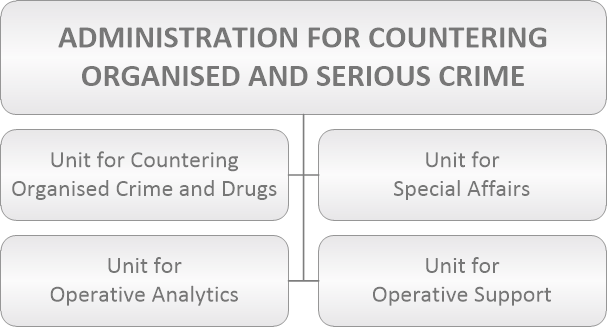 He prepares operation programme, information, analyses, reports and other materials related to police activities. Police Director regularly delivers reports to the Minister on the measures taken and activities of the police. He reports directly to the Minister of the Interior and to the Government of the Republic of Srpska about his work. Radomir Domuzin , was born on 1 January 1961 in Glamoč. He graduated from the Faculty of Economics in Banja Luka where he also finished master studies. He completed PhD studies at the University for Business Studies in Banja Luka and acquired the title Doctor of Economics. He has been working with the police since 1990. In his previous work experience, he performed the following activities and tasks: from 1990 to 1992 – inspector for countering economic crime at the Ministry of the Interior of the Republic of Serbia; from 1992 to 2006 – inspector for countering economic crime at Banja Luka Public Security Center; from 2006 to 2009 – head of Department for countering economic crime at Banja Luka Public Security Center; from 2009 to 2013 – head of Department for countering economic crime at Crime Police Administration; from 2013 to 2015 – deputy head of Crime Police Administration; from 2015 to 2016 – head of Crime Police Administration. 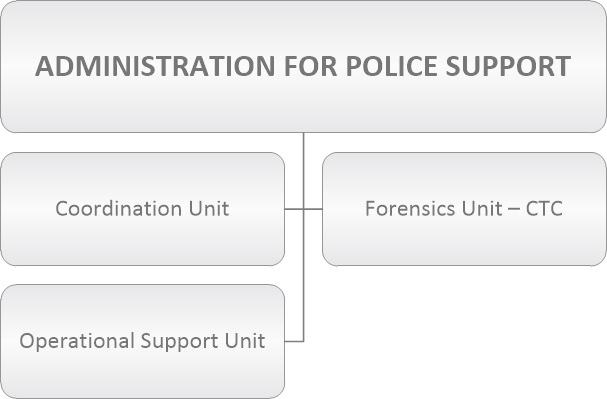 Directly organizes, manages and supervises the activities of the organizational units within the organizational unit of the Police Director, organizes daily and periodic meetings, suggests concrete measures and takes care of the cooperation with other organizational units within the Ministry. He supervises and analyzes the justifications for using coercive measures and makes the assessment on how justified the justifications delivered by the heads of the basic organizational units are. He assists the Police Director in all the activities related to his mandate, replaces the director in case of his absence or inability to attend certain events and, if necessary, performs other activities set by the police director. Mr. Dalibor Ivanić was born on 26 June 1973 in the town of Bosanski Novi, Bosnia and Herzegovina. 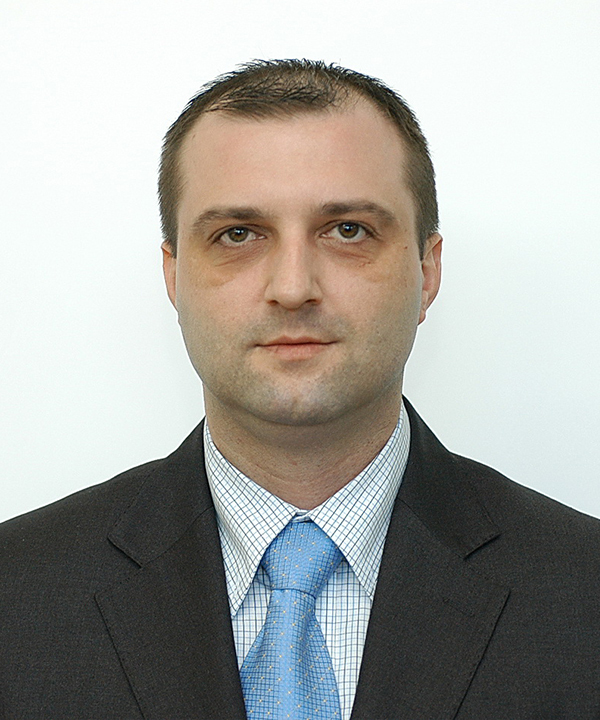 He graduated from Higher School of the Interior in 1998 in Banja Luka, thus obtaining a BA in Law of Internal Affairs. In 2001, he graduated from the Faculty for Security in Belgrade and became a professor of civil defense. At the Faculty of Law for Commerce and Judiciary in Novi Sad, he became Master in Law in 2018. He has been employed with the Ministry of the Interior since 1998. 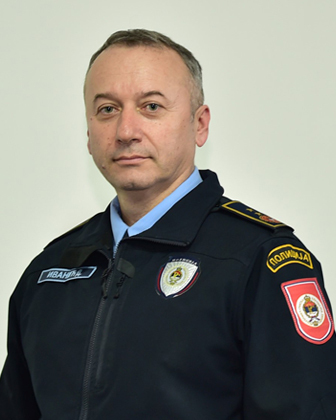 In the previous period, he has performed tasks in the following positions: Deputy to the Commander of Novi Grad Police Station, Commander of Novi Grad Police Station, Commander of Prijedor Police Station for Traffic Safety, Inspector with General Police Force at Uniformed Police Administration, Inspector for Traffic Police at Uniformed Police Administration, Head of the Police Sector at Banja Luka Public Security Center, Head of Department for General Police Force at Uniformed Police Administration, Head of the Operations and Communication Center of the Ministry of the Interior of the Republic of Srpska, and the Head of Prijedor Public Security Center. Since 21 January 2019, he has been performing tasks of the Head of the Uniformed Police Administration. to apply the basic principles of community policing; to monitor and direct the implementation of community policing concept, and conduct other activities in their competence. Uniformed police Administration conducts all these activities through its organizational units. Mr Darko Kovrlija was born on October 23, 1976 in the town of Bihać. He finished the High Scool of the Interior in Banja Luka, Higher School of the Interior in Zemun, Belgrade and the Faculty of Security and Protection in Banja Luka. 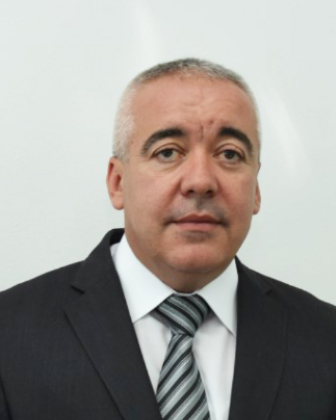 He has been employed with the Republic of Srpska Ministry of the Interior since 2000. He performed the following duties and assignments in Bijeljina Police Administration: in the area of crime prevention and detection up to the position of police inspector, head of department for prevention of general crime, head of department for prevention of organized crime and corruption, and the chief of crime police sector. He assumed the duties of the Head of Crime Police Administration on January 25, 2019. To process the most complex criminal offences. To perform activities in accordance with the relevant information acquired by intelligence and security service when it is in the competence of the Administration; to conduct other operations in the competence of the Administration. cooperating with international police and similar foreign police agencies’ offices, providing order, discipline and lawfulness of activities. 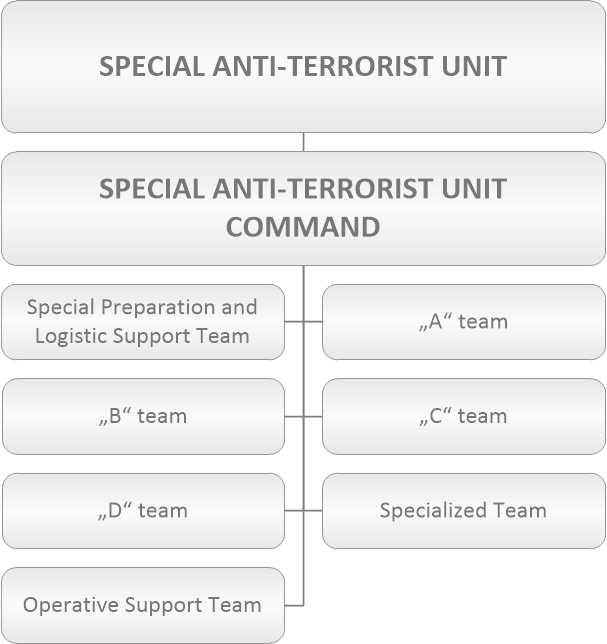 The Unit is organized in accordance with the European standards for Special Police Units, so that its structure and unit strength provide quality training and high operability level in performing certain tasks. Everybody who wishes to become a member of Special Anti-Terrorist Unit has to go through rigorous and difficult selective training. The contest for accepting new candidates depends on the needs of the Unit and available job posts. Training of future members is based on the experiences of home and foreign specialized units and is harmonized with the universally accepted world standards and trends. In accordance with the strictly purposeful needs, the aim of Special Anti-Terrorist Unit training is to professionally train, drill, and prepare all the members of the operational unit both physically and mentally to successfully perform the most complex and delicate tasks in all situations and in every moment. With the outbreak of war conflicts in Bosnia and Herzegovina, the members of the Bosnia and Herzegovina Ministry of the Interior divided based on their ethnicity, so on 4 April 1992, the Police Unit for Special Actions was also divided, and in the second half of 1992, the Special Police Brigade was formed. In the period of war conflicts, from 1992 to 1994, nine units were formed with brigade command stationed in the village of Janja, BIH. Formation structure was as follows: Command, I – Pale division, II – Šekovići division, III – Trebinje division, IV – Bijeljina division, V – Doboj division, VI - Banja Luka division, VII – Prijedor division, VIII – Ilidža division, and IX – Foča division. During the war, the Special Police Brigade had 1,500 members, and 144 of them gave their lives for the Republic of Srpska and 400 members were injured. On multiple occasions, the Unit was decorated with the orders of Petar Mrkonjić, Nemanjići, the First of Order of Njegoš, and the order of Merits for the People. Certain number of Unit members was decorated with the orders of Miloš Obilić and Milan Tepić and other decorations. From 1995 to 2001, the whole Brigade completely changed under detailed monitoring of international organisations, primarily IPTF. When Dayton Peace Agreement was signed, and since its Annex 1B provided that special formations had to be disbanded and retreated to bases/barracks, the Unit changed its name into Anti-Terrorist Actions Police Brigade. The Annex 11 to Dayton Peace Agreement provided that members had to go through training under control of international police – IPTF. After reorganisation in 1998, the Unit got a new name – Specialised Police Service with the Command in Janja, near Bijeljina, divisions in Prijedor and Ilidža were disbanded, and divisions in Trebinje and Foča were integrated with the base on Tjentište. Other divisions were transformed into specialised teams. After the reorganisation 1999/2000, the Specialised Police Service was dislocated from Janja to Banja Luka. All divisions were disbanded with exception to those in Janja and Banja Luka. The Specialised Team was located in Banja Luka and transformed into Anti-Terrorist Team. In 2001, the division Janja was disbanded, and in Rakovačke Bare base, near Banja Luka, the Specialised Police Service continued their activities, and parts of it were Anti-Terrorist Team, Specialised Team and Mechanised Team. In 2004, the Service changed its name into Special Police Unit. On 8 August 2016, when the Rulebook on internal organisation and systematisation of job posts in the Republic of Srpska Ministry of Interior entered into force, the Unit changed its name into Special Anti-Terrorist Unit. Since the establishment of the Police Brigade in 1992 until today, the duty of Commander was performed by the following people: 1. Milenko Karišik (1992-1993); 2. Goran Sarić (1993-1997); 3. Duško Jević (1997-1999); 4. Dragan Lukač (1999-2004); 5. Ranko Vuković (2004-2006); 6. Predrag Krajnović (2006-2015); 7. Dragan Ribić (2015 -2018); 8. Goran Balaban (2018-). 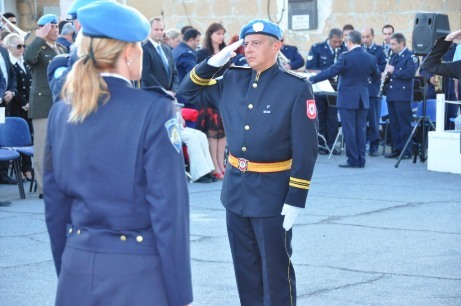 All activities related to the deployment to peacekeeping operations abroad are performed through the Department for International Cooperation within the Office of the Minister, Ministry of the Interior of the Republic of Srpska. Selection procedure of the candidates from the Ministry of the Interior of the Republic of Srpska begins with filling in the Questionnaire on interest to participate in peacekeeping missions. The Questionnaire (in Serbian language) may be downloaded on the website of the Ministry (available in Cyrillic and Latin version). 5. Driver's licence (B category). After the submission of the Questionnaire, the Republic of Srpska Ministry of the Interior identifies the candidates fulfilling the basic requirements for participation in UN peacekeeping missions, and forwards the applications of the interested candidates to the BiH Ministry of Security. -	SAAT test – only for applicants who have successfully passed the pre-mission training. All other information regarding the following steps in the selection process and application procedure after the publication of open positions within the UN peacekeeping missions may be obtained through the Department for International Information, Office of the Minister, located in the building of the Republic of Srpska Government (entrance B). •	The initial activities in the field of community policing were initiated in 2002 in cooperation with the members of IPTF, and experience exchange with police agencies from the developed countries of the world, cooperation with numerous international organizations, changes in the countries of the region and membership in various associations, contributed to the concretization of the starting initiatives. 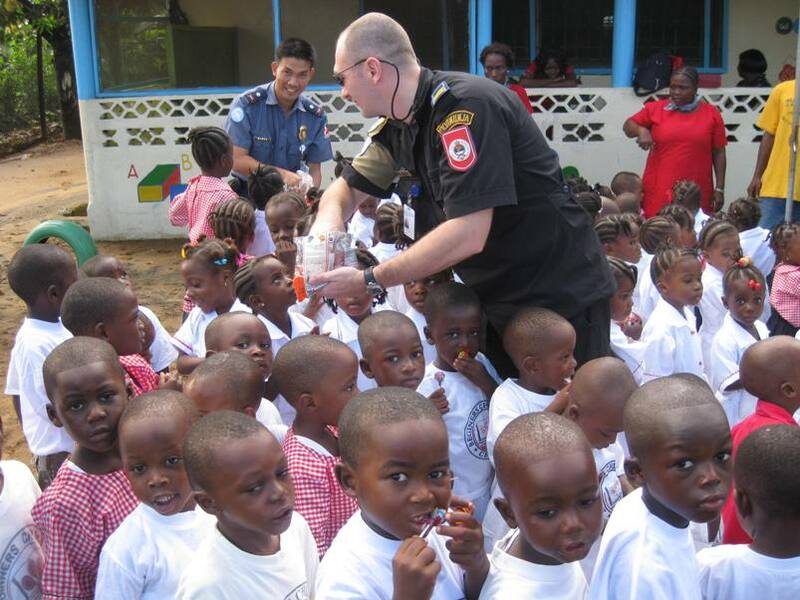 •	In the beginning of 2007 the cooperation with Swiss Agency for development and cooperation started. Together, they realized various educational activities (seminars and workshops). Experiences were exchanged and three study visits to Switzerland were organized. Several prevention campaigns were conducted, and the field of community policing has become a regular subject at the Higher School of the Interior and College of the Interior in Banjaluka. The Rulebook on community policing for Bosnia and Herzegovina was made and receiving rooms in four police buildings of the Ministry of the Interior of the Republic of Srpska were renovated. •	In cooperation with UNDP, the project ‘Safe communities’ is being implemented, and as pilot municipalities from the Republic of Srpska, the municipalities of Prijedor, Višegrad and Bratunac were chosen. •	Within cooperation with SEPCA (Southeast Europe Police Chiefs Association), the representatives of the Ministry of the Interior of the Republic of Srpska participated in the realization of all the activities of the working group for community policing. •	Do you know what to do in case of a traffic accident? 2. Conducting promotional activities and organizing public forums and round tables with the aim of raising public awareness on the necessity of preventing peer violence. - -	Denying access and participation of minors in games of chance and similar gambling games (for example, in betting shops). Within the realization of the listed activities, in October, all public security centers and police stations organize public distribution of promotion material called 'Let's prevent peer violence’, and, in cooperation with the competent government, local and non-governmental institutions and organizations, initiate and participate in the realization of public forums and round tables with the topic of peer violence. Within the campaign 'Let's prevent peer violence', conducted by the Ministry of the Interior of the Republic of Srpska, the round table on the topic 'Peer violence and violence against children and media' was held in Banjaluka yesterday. It was organized by the Ministry of the Interior of the Republic of Srpska together with Ombudsman for children of the Republic of Srpska, Gender Center of the Government of the Republic of Srpska Government and 'Zdravo da ste' Association. Director of the Police of the Republic of Srpska, Mr. Gojko Vasić said that statistics show decrease in the number of criminal offences related to peer violence – two years ago, there were 27 of these cases registered; last year, there were 14 of them, and this year, there are 6 cases registered so far. When it comes to juvenile delinquency, director Vasić said that, this year, the number of registered minors was smaller compared to the previous year, but that it did not have greater significance, because in the last 10 years, these records are approximately the same and that they vary from time to time. 'It is important that all segments of the society function properly,that there are prevention acitivities and that there are mechanisms to prevent the violent behaviour turning into a habit', director Vasić pointed out and added that police, within their regular activities, pay great attention to the juvenile delinquency. Police director Vasić explained that the Ministry of the Interior of the Republic of Srpska, within the realization of 'School police officer' activities, educational lectures and doors open days, was trying to create pre-conditions for the children to get familiarized with the police and thus gain trust in the police through varoious activities of working with the youth and children. Ms. Nada Grahovac, Ombudsman for children of the Republic of Srpska, stated for the press before the Round table meeting began, that media have a really important role in promoting and protection of children's rights and raising social awareness on violation of those rights, since they often point to the violation of children's rights. She added that sensationalist reporting, the invasion of child and family privacy, still points to the fact that the public right to obtain information is above children's rights. 'The manner of reporting should not additionally hurt the child. One should think about how the published news is going to affect the child who, after everything that happened to them, is supposed to meet the environment, school and peers'', Ms. Grahovac pointed out. She added that media have to ensure the positive content on children and for children who, according to the research, spend 26.5 hours a week in front of television, and only half an hour talking to their parents. 'From this, one can see the influence of the media on children growing up and why it is necessary to learn on good examples of children, parents and teachers', Ms. Grahovac said and added that laws on media still have not recognized children's right on protection adequately. The president of the Association of high school directors, Mr. Predrag Damjanović said that schools give their best to minimize the problem of peer violence. 'Almost all schools are qualified, have psychologists employed, social workers and educators, so we can conduct prevention activities. One should not expect that schools can solve all the issues on their own, because, since without systemic approach, strategies and strategic fight, one can hardly do anything on their own', Mr. Damjanović said. Transactional analysis (Communication Studies) is the seminar for all the authorized workers of the Ministry of the Interior of the Republic of Srpska and civil servants in direct contact with citizens. •	The regular courses 'Community policing and activities related to security sector' realized for sector leaders and police members in whose jurisdiction is the coordination of community policing. -	to perform other activities in the competence of the Administration. You can praise a police officer for their decent and responsible behaviour towards you, and/or because they are dedicated to their work, unbiased, brave, communicative, fair, as well as for their professionalism and preserving the reputation of the Ministry. You can send your praise to a police officer to the following e-mail address: gradjanipitaju@mup.vladars.net . Your praise should be understandable and contain information related to place, time and description of activities performed by the police officer whose work you would like to praise, as well as other useful information. Additionally, it is preferred that you provide your personal information in the praise, including your address and phone numbers, so your praise can contribute in the procedure of rewarding the police officer. If you know the information related to the police officer, you should provide the following: their name and surname, and/or the number of their police badge, where they work and which activities they perform, registration plates of their official vehicle and other information. You can complain about police officer’s work if you notice some sort of irregularity or omission in their work and if you find that they violated your rights and freedoms by their illegal and incorrect activities and behaviour. By drawing attention to inappropriate and illegal actions committed by the police officer and other workers of the Ministry, you are helping the police in solving cases related to abuse of office and misbehavior, as well as in timely undertaking corresponding legal measures. Your complaint should be understandable and contain information related to place, time and description of actions of the police officer whose work you are complaining about, as well as other useful information. Additionally, it is preferred that you provide your personal information in the complaint, including your address and phone numbers, so it can be valid in a corresponding procedure. If you know the information related to the police officer, you should provide the following: their name and surname, and/or the number of their police badge, where they work and which activities they perform, registration plates of their official vehicle and other information. Mr. Borislav Šarić, MA, was born on 22 August in 1979 in Mrkonjić Grad, Bosnia and Herzegovina. In 1998, he finished the High-school of the Interior in Sremska Kamenica, Serbia, and became a police officer after graduating from the Police Academy in Belgrade in 2003. In 2011, at the Faculty of Security in Belgrade, he received a Master’s degree in defense, security and protection. He started working at the Ministry of the Interior in 1998, as a police officer at Mrkonjić Grad Police Station, Mrkonjić Grad Public Security Center, and since then, he has performed the following activities and tasks: expert associate on police subjects at the College of the Interior, Banja Luka; inspector for traffic safety at the Department for traffic security, Uniformed Police Administration; Commander of the Police Station for traffic security in Banja Luka, Banja Luka PSC; head of the Unit for strategic planning and analytics, Police Director; head of police Unit for performing tasks of protecting persons and facilities, Uniformed Police Administration. He has been working at the College of the Interior, Banja Luka, as a lecturer on subjects Police management and Police operation. He is married and has got three children. He started performing tasks of the Head of the Administration for protecting persons and facilities on 15 April 2015.
to perform other activities in their competence. Mr Milosav Savković was born on 14 August 1973 in the town of Jajce, BIH, where he finished primary and secondary school. In 2003, he finished the College of the Interior, and in 2005, he graduated from the Faculty of the Interior as a Bachelor of Laws of the Interior. 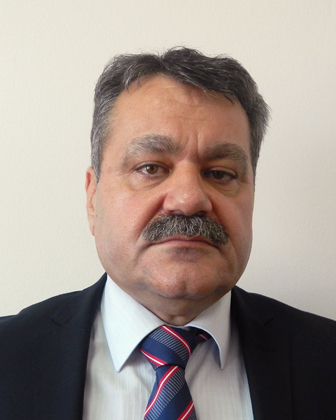 He was employed with the Republic of Srpska Ministry of the Interior from 1994 to 2006, and during this period, he performed the activities of a policeman and a crime inspector at PSS Jajce, SSC Bijeljina, SSC Banja Luka and the Crime Police Administration. In 2006, he became a member of the Special Department for Countering Corruption and Organised Crime – Special Prosecutor’s Office of the Republic of Srpska as an inspector for criminal offences in the field of organized crime and most serious forms of economic crime. 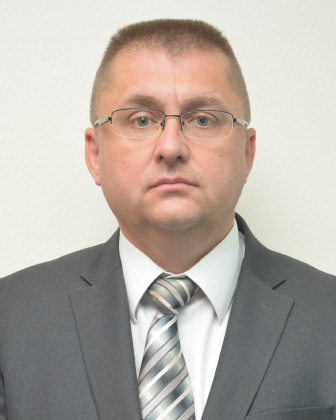 He returned to the Republic of Srpska Ministry of the Interior in July of 2016 to perform the activities of a crime inspector within the Crime Police Administration, and in September the same year, he was appointed head of the Department for countering organised crime and narcotic drugs in Banja Luka Police Administration. 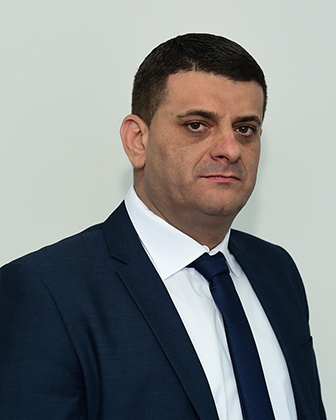 On 25 January 2019, he was appointed head of the Administration for Countering Organised and Serious Crime, the Republic of Srpska Ministry of the Interior. Mr Željko Spasojević was born on 10 May 1969, in the town of Prnjavor. He finished primary school in Kokori, near Prnjavor, and Secondary School of Internal Affairs in 1988, in Sarajevo. In 1992, Mr Spasojević finished the Military Academy for Land Forces, in Belgrade, and started working for the Republic of Srpska Ministry of the Interior. So far, he has performed the following activities and tasks: platoon commander, head of a class at Secondary School of the Interior in Banja Luka, commander of Police Station Banja Luka 1, inspector at the Police sector, inspector at the Uniformed Police Administration, head of General police department at the Uniformed police administration, head of Police sector at PSC Banja Luka, head of PSC Banja Luka, head of Department for specialist training at the Police Academy, head of Department for professional training at the Administration for Police Education, Court police inspector, expert advisor at the Cabinet of the Minister of the Interior, and head of PSC Banja Luka. On 25 January 2019, he was appointed head of the Administration for Police Support. •	performing other activities in its scope of activities.